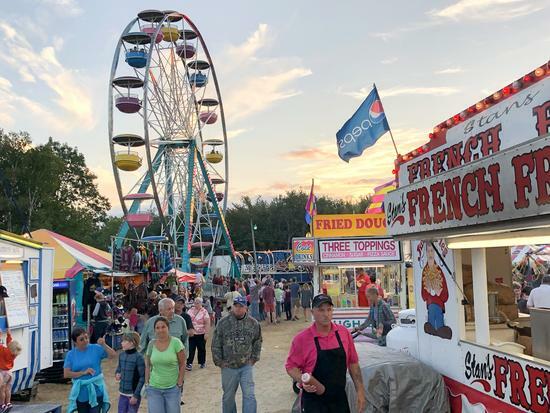 The weather, an even sunny and warm weekend overall, caused attendance to remain steady for the five-day event, said Eaton, noting that Thursday was perhaps the busiest day with lines of cars entering the Fair stretching a mile or more in each direction. 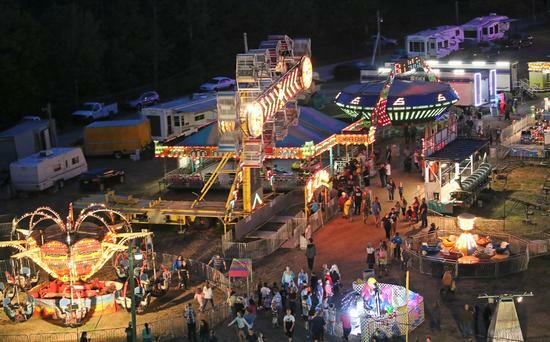 With new food vendors this year, there was no shortage of choice at this year’s fair. The midway comes alive at night with lights and from way up on the ferris wheel, this is the scene. 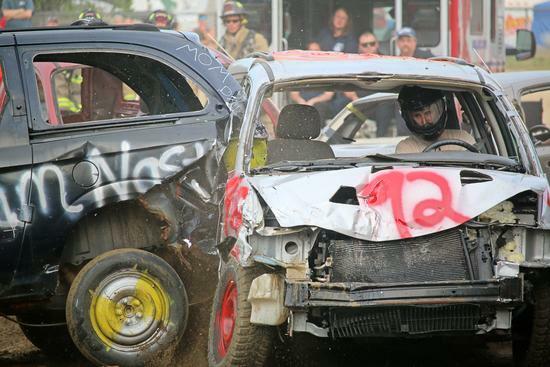 The State of Maine Championship Demolition Derby fills the Fair with the sound of roaring engines and crashing vehicles. Local drivers from Sedgwick, Blue Hill and Brooksville competed against drivers from across the state battling their four-, six- and eight-cylinder vehicles for the trophy. Fairgoers lined up over an hour before the event to get their grandstand seating tickets. 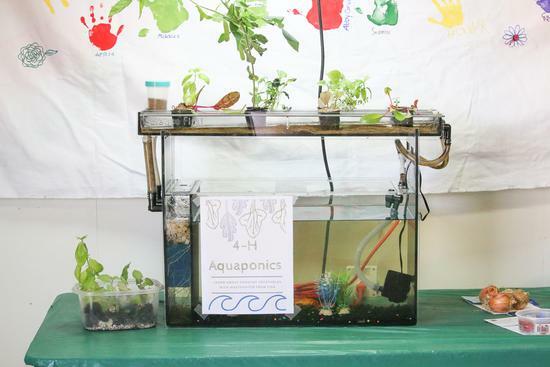 An aquaponics tank was on display at the 4-H exhibit at the Blue Hill Fair. 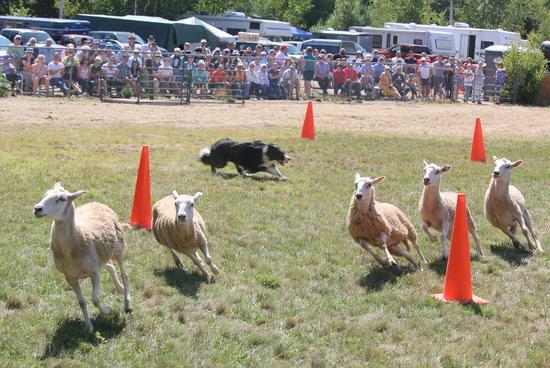 The Blue Hill Fair Sheep Trials, on September 1, tested a dog’s skill at herding sheep through gates and cones. 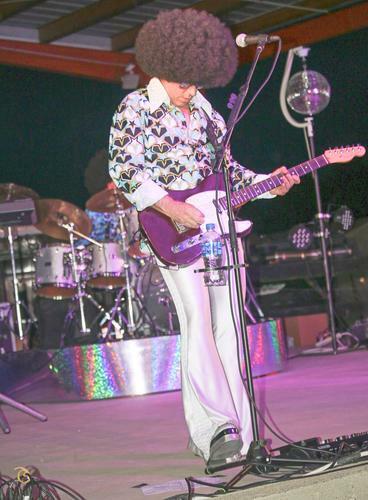 The funkadelic sounds of Motor Booty Affair entertained a lively crowd on Sunday night, prompting lots of dancing and the flash of glow sticks. 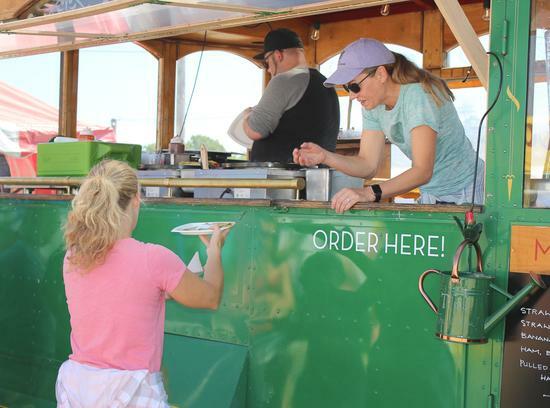 New—and popular— this year, Barncastle owner Lori Robbins, right, and chef Tim Gunderson brings a Blue Hill Crêpes food truck to the Fair. 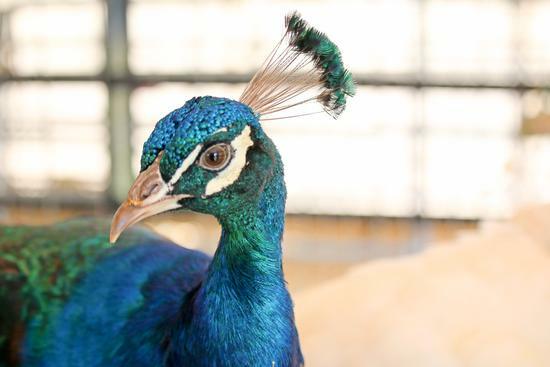 In addition to more traditional animals like cows, goats, sheep and llamas, the livestock area also included an emu named George and a pair of peacocks. 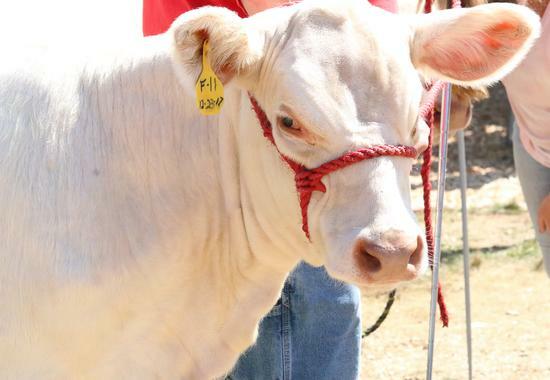 Cows and bulls competed in the Open Dairy Show at the Fair.